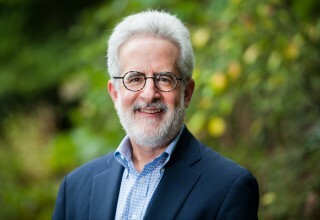 Wyncote, Pa, January 30, 2018	(Newswire.com) - ​For decades, all who have been a part of the movement that grew out of Rabbi Mordecai Kaplan’s groundbreaking ideas have been actively “Reconstructing Judaism.” That has meant introducing transformative innovations to Jewish life—ranging from the Bat Mitzvah to ordaining LGBTQ clergy—while being guided by the spectrum of Jewish texts, traditions, rituals, histories and cultures. And now, our mission and name are one and the same. 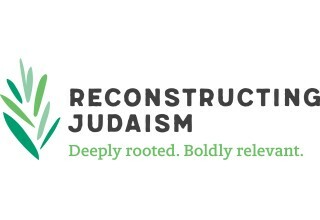 Reconstructing Judaism is the new name for Reconstructionist Judaism’s central organization, formerly known as the Reconstructionist Rabbinical College & Jewish Reconstructionist Communities. The adoption of a new identity comes at a time when the organization continues to make significant strides in cultivating more inclusive expressions of Judaism that meet the needs of Jewish communities of today and tomorrow. 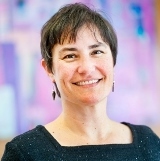 Whether by training rabbis to be entrepreneurs and changemakers, uplifting congregations and havurot, cultivating Jewish experiences in new venues, deploying digital networks to tackle the pressing challenges of Jewish life, investing in startup projects, or taking our values and approach to the public square through podcasting and other media, Reconstructing Judaism is at the forefront of the Jewish tomorrow. 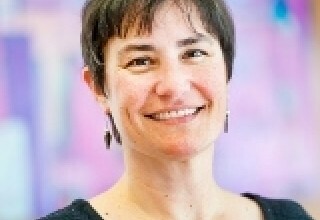 Reconstructing Judaism serves and supports nearly 100 affiliated congregations across North America and abroad; oversees a rabbinical college that has graduated more than 400 rabbis; cultivates Jewish living that is relevant to today’s Jews through grant programs and non-credit education; brings Jewish values to the public sphere; and inspires youth at two Reconstructionist-run summer camps. The organization’s rabbinical college will change its name to the “College for Reconstructing Judaism” at the end of the current academic year. This announcement marks the start of a banner year for Reconstructing Judaism. The college will be celebrating its 50th anniversary this year. June marks the opening of Havaya Arts, the first Reconstructionist summer camp located on the West Coast. A long-awaited Reconstructionist movement convention, the first since 2010, will be held in November. And Reconstructing Judaism is launching Evolve, a two-year endeavor to engage Reconstructionist thinking on key questions facing the 21st-century Jewish community. Regarding the new logo, leaves sprout out from the ground and grow into the world, reflecting the Reconstructionist balance between groundedness in Jewish tradition and a focus on Jewish growth and reinvention. The phrase that accompanies the graphic—Deeply Rooted, Boldly Relevant—reinforces the Reconstructionist connection to Jewish tradition and texts, while emphasizing the need to reconstruct Judaism continually in a way that is relevant for today and tomorrow’s Jewish communities, refreshing Judaism and allowing it to thrive. “‘Relevant’ is an imperative, not a descriptor,” says Waxman. In arriving at this new identity, the organization employed a democratic Reconstructionist approach to decision-making, with a non-hierarchical focus on discussion, and the sharing of ideas. Members of North American Reconstructionist communities were invited to share insights on Reconstructionist Judaism and the organization that serves them in a series of online and in-person town halls and surveys over a period of more than a year. All told, more than 1,000 people—from Los Angeles to Montreal—shared their insights and ideas. Reconstructing Judaism’s board of governors unanimously approved the name change at its October meeting. Reconstructing Judaism is the central organization of the Reconstructionist movement. We train the next generation of rabbis, support and uplift congregations and havurot, foster emerging expressions of Jewish life, and encourage people to be their best selves—always helping to shape what it means to be Jewish today and to imagine the Jewish future. Reconstructionists approach Judaism—and life—with deep consideration of the past and a passion to relate it to the present. We have originated many of the core innovations of today’s Judaism and lead efforts to make our congregations and havurot even more groundbreaking, inclusive and relevant. We welcome your voice, questions and participation in something larger. Get involved at ReconstructingJudaism.org.